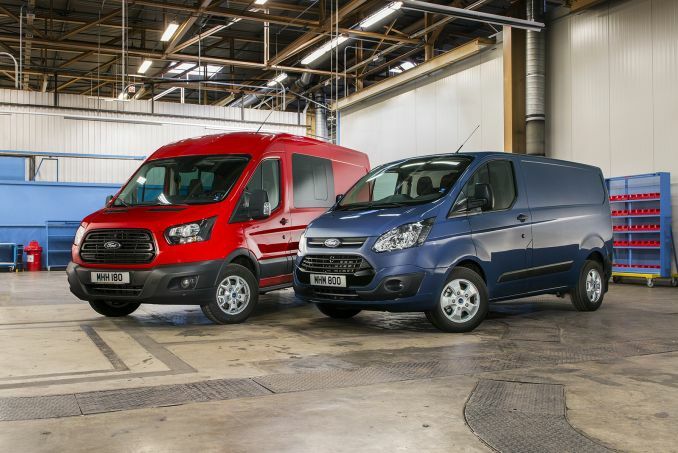 The Ford Transit has evolved. Jonathan Crouch takes a look at what you can expect from the brand's largest van in terms of this sixth-generation model. 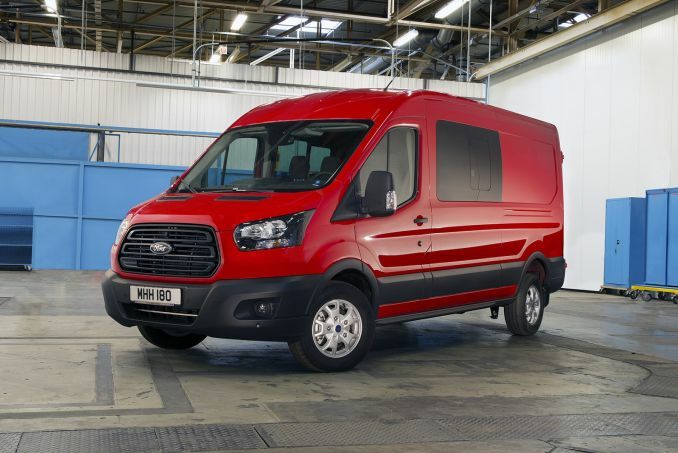 The sixth-generation Ford Transit might now be built in Turkey rather than Southampton but don't let that cloud your buying decision. If you want the best large van in its sector, you're looking at it right here. Rivals will doubtless arrive in a couple of years copying what Ford has done right here and now. If the Ford Transit was a watch, you know it would be a Timex. 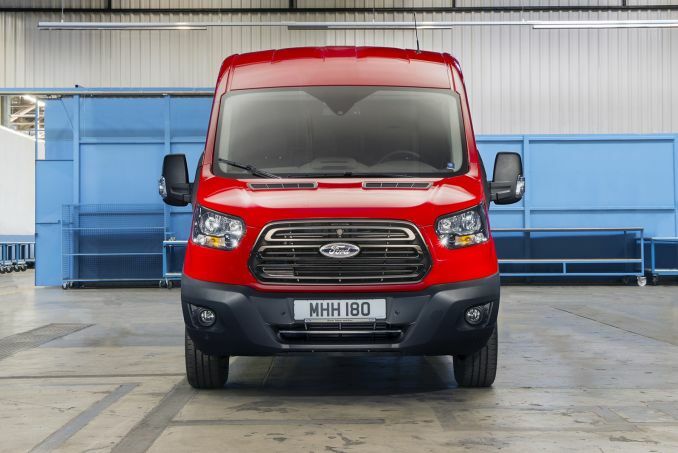 That old strapline 'Takes a Licking But Keeps on Ticking' is just as appropriate to Ford's hardy perennial, a vehicle that has carved itself a massive share of the UK commercial vehicle market. In previous years, one of the reasons that UK businesses loved the Transit was because they perceived it as a 'British' product, an honest van that rolled off production lines in Southampton. That's changed. 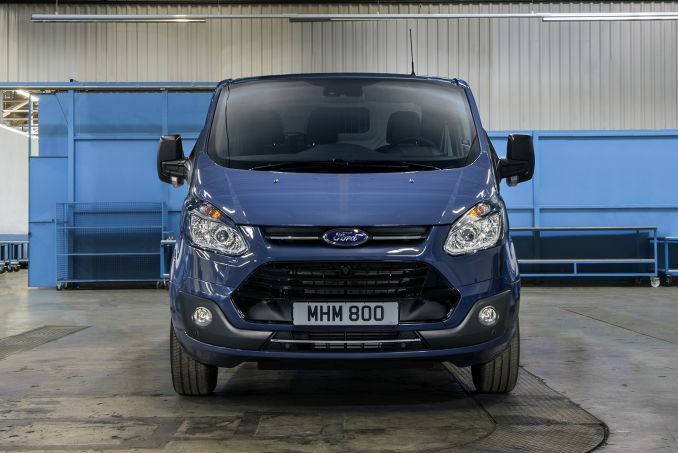 Our EU cousins at Ford Otosan in Turkey are now responsible for screwing the sixth-generation Transit together and that may have an effect on the residual goodwill UK buyers have for this vehicle. In other words, the Transit now needs to work harder than ever for its keep. It's time to see what it brings to the market. Here, we're looking at the Transit range in its largest form. 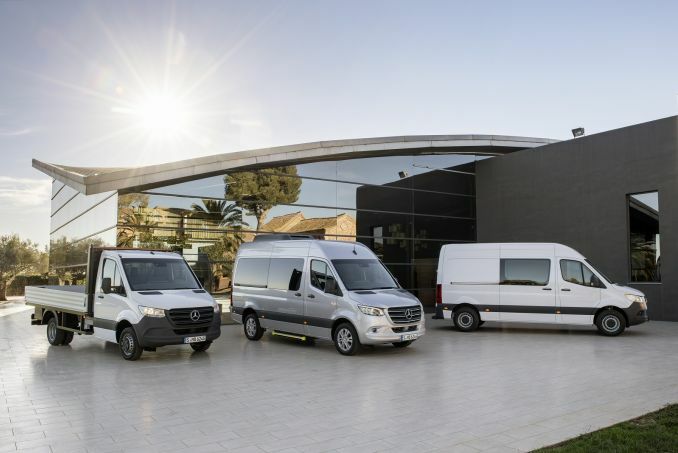 There are now Transit Courier and Transit Connect models to satisfy the compact van market and the Transit Custom to deal with Vivaro, Trafic and Transporter competitors in the medium-shaped van sector. The vehicle we look at here though, badged simply 'Transit', is the full-sized version. Let's check it out. With a chassis that's designed from a clean sheet of paper, the sixth generation Ford Transit is powered by a 125PS 2.2-litre Duratorq TDCi diesel that hails from sunny Dagenham. The range now extends to six different van models with gross vehicle mass (GVMs) of up to 3.5 tonnes. The standard Transit powertrain features the 2.2-litre diesel with a choice of three power ratings. 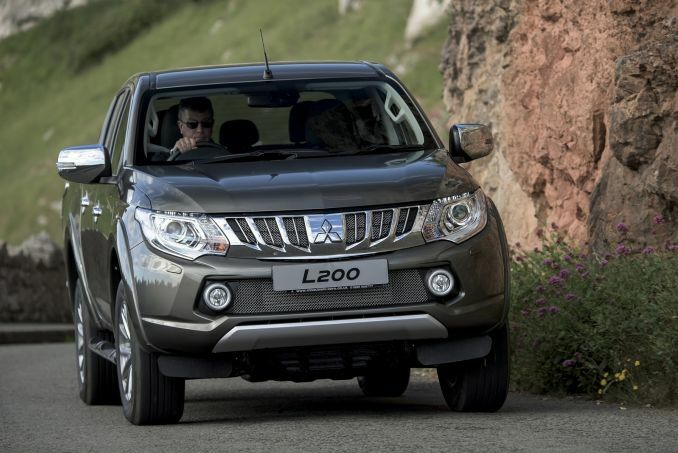 The entry-level output is 100PS, and this can be stepped up to 125 and then 155PS. All models get a six-speed manual transmission and customers also have the option of 125PS and 155PS engines which meet the Euro 6 emission standards. Available in front-wheel drive, rear-wheel drive and all-wheel drive versions, the Transit has been engineered to keep coming back after the worst abuse imaginable. Its body construction features high-strength and ultra-high-strength boron steels and in development, has covered the equivalent of nearly seven million miles in testing in Europe and North America, with more than 310,000 miles of that total covered by actual Transit customers. Safety tests have been undertaken to ensure the van would behave in a safe and predictable manner when subjected to the worst kinds of impacts experienced in real-world use, one test involving striking a 150mm kerb at 30mph. Ford didn't say how much damage the inevitable Pot Noodle in the cup holder did to the vehicle's interior. By its definition, a panel van needs to be a big box on wheels, so there's only so much stylists can do to differentiate them externally. Nevertheless, Ford has done quite a good job with this Transit. The front end doesn't immediately look like a Ford product. Previous Transit generations have usually tried to crib whatever the current trend in Ford passenger car styling is and adapt it, more or less successfully, to the bluff front end of a commercial vehicle but while that may work with the smaller Courier, Connect and Custom lines, the latest fully-fledged Transit is a big thing and it looks a bit different. The huge front grille has echoes of the Aston Martin lookalike front end sported by some Ford cars, but thankfully the stylists haven't tried to force the theme. Inside, the quality looks a good deal better and there's been some budget devoted to actually making the dash look stylish rather than merely functional. The multi-adjustable steering wheel allows a decent driving position and the gear lever is now located close at hand. There's a console that's loaded with buttons to control the various stereo and phone controls, helping you to take calls safely on the move. In fact, the biggest compliment you can pay is that it feels resolutely car-like. Expect pricing to be broadly inline with the outgoing model. The permutations of body styles are huge. 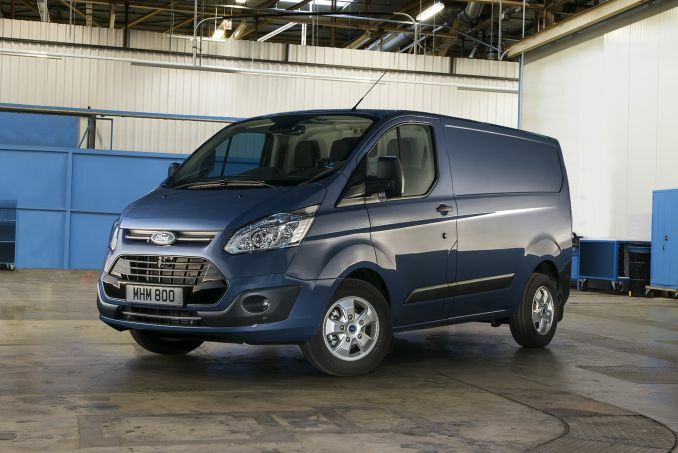 As well as the normal van body, Ford will sell you a double cab in van, a Kombi, a chassis cab and a minibus. We'll stick with just the van body here to save getting too complex. Here, you get a choice of three different wheelbases; L2 (Medium), L3 (Long), and L4 (Long Extended).There are also two roof heights on offer; H2 (Medium Roof) and H3 (High Roof). Ford offers three different trim levels: base, Trend and ECOnetic. Even the entry-level van gets interior features such as a radio, with AUX, Bluetooth, USB/iPod connectivity and remote controls, a rake- and reach-adjustable steering column , a trip computer, courtesy lights with theatre dimming, an eight-way adjustable driver's seat, remote central deadlocking, electric front windows and an overhead stowage console. 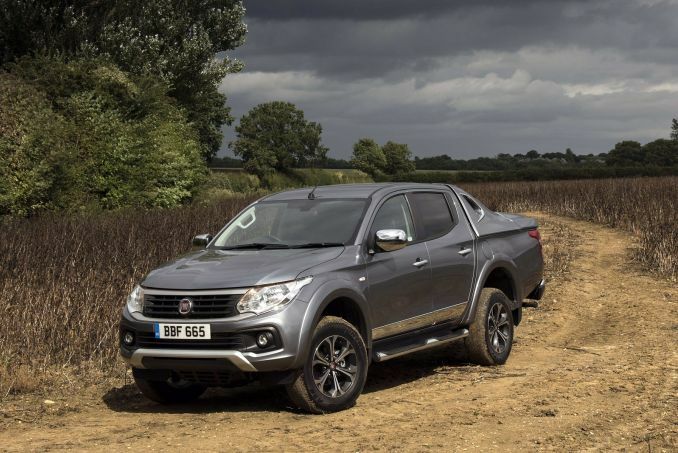 Upgrade to the Trend and you get features like cruise control, a lockable glove box, some leather for the steering wheel and gear knob and a complete load compartment half-height trim board. In the cargo bay, side-wall angles have been revised to make them more upright and the roof raised slightly to maximise useful space. Plus all versions of this van are around 300mm longer to ensure the load length suits all standard-length pipes, boards, rolls of carpet, and ladders. A wide, high-grip step is integrated into the rear bumper making it easier to step into the cargo area and more convenient when loading by-hand. Side wall-mounted tie-down points help keep the load floor clear and are both DIN and ISO compliant, as is the full steel bulkhead that's fitted as standard. Load space lamps are far brighter than previous models and are fitted as standard. You can also specify the option of ultra-bright LED lighting if required. In a vehicle of this size, it's a smart and highly practical feature. When you've got this much load space, side doors are vital and because they're often used a lot, the whole mechanism is built to maximise ease of use and durability. A double action release handle makes for smooth opening and closing, a 'positive check' latch secures the door when open and a warning beep sounds if the side door isn't shut or locked correctly. 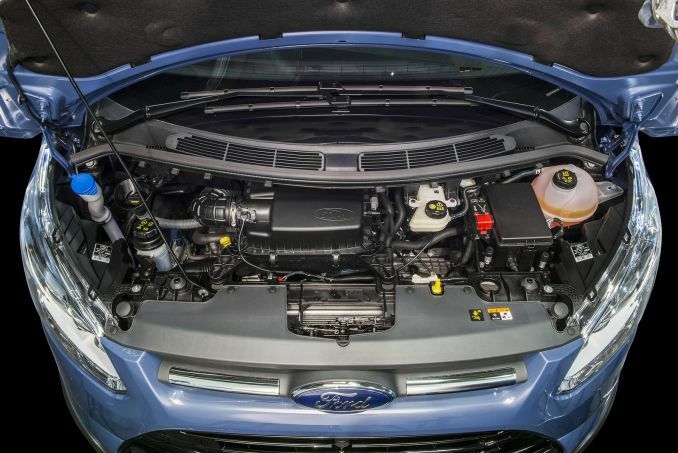 Ford has helped drive down the cost of ownership by setting service intervals at 30,000 miles or 2-years. Day to day running costs are lower too, thanks to technology like Smart Regenerative Charging which only charges the battery when it needs it. Auto-Start-Stop uses around 10 per cent less fuel in typical town driving, while the Ford Eco Mode system continually assesses the effects of your driving behaviour on your fuel consumption and advises you on how to improve fuel economy. Choose the alternative 'ECOnetic' model and you'll get a 7 per cent increase in gear ratios that means longer gearing. You'll also benefit from reduced emissions which are as low as 169g/km. Acceleration Control helps to control the van's rate of acceleration according to whether it's unladen or part-laden. As a result, you can expect to lower your fuel consumption by up to 15 per cent, depending on your driving style. There's also a shift indicator for fuel-efficient gear changes. The Ford Transit cannot rely on customer goodwill to maintain its UK market share, that much is clear. Much of that has evaporated with the company's decision to up sticks to Turkey to build the vehicle. Instead the Transit needs to unambiguously better its key rivals in terms of practicality, running costs and ease of use. It's hard to argue that this latest model doesn't do exactly that. The amount of work that Ford has put in to improve efficiency betrays an almost obsessive attention to detail, zeroing in not only on the things that matter to fleet operators, but also devoting equal attention to what counts for those who will drive this vehicle. Yes, you can buy cheaper vans in this sector, but at what cost?  The Transit formula has been calculated to the nth degree and it works. Don't expect that to change anytime soon.